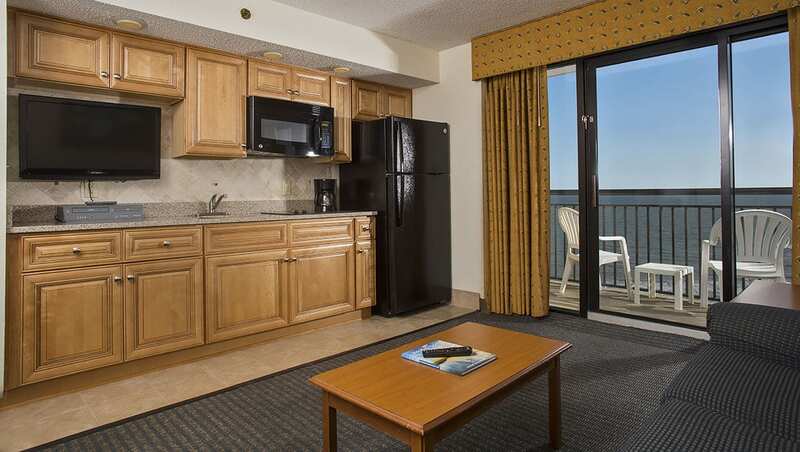 The One Bedroom Oceanfront Suite is perfect for couples or small families visiting North Myrtle Beach. 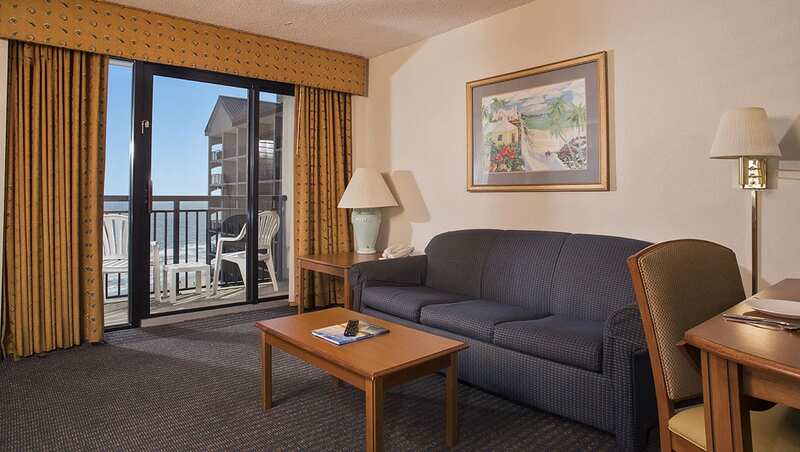 This suite features an oceanfront living room complete with a sleeper sofa (for extra sleeping space), a private balcony, and a table and chairs. 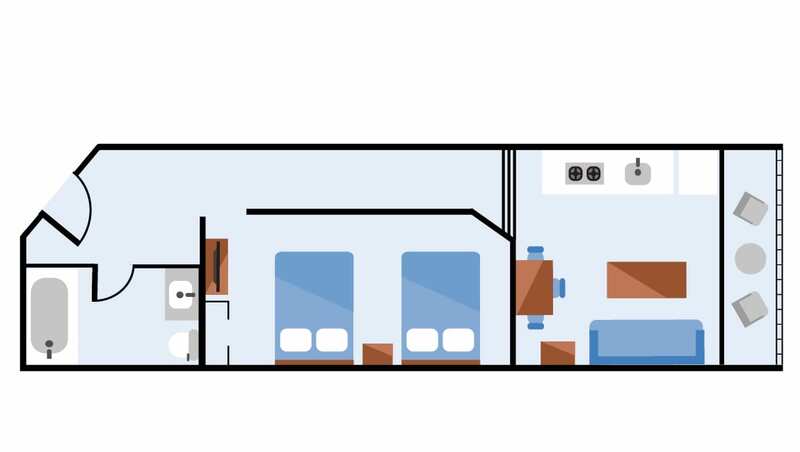 Here you will also find a fully equipped efficiency kitchen with a two-burner stovetop, perfect for whipping up a quick meal, a refrigerator for drinks and food, a microwave for heating up quick snacks like popcorn, and basic utensils and dishes. 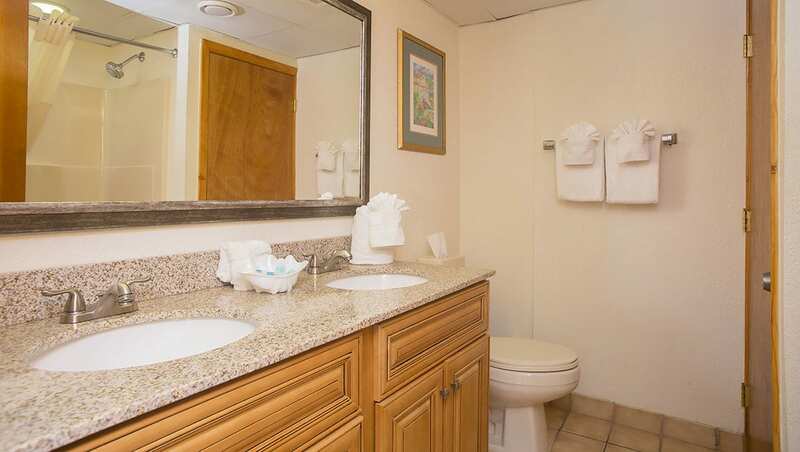 Your suite also includes a coffee maker with complimentary coffee and a toaster. The living room also includes black-out drapes, a DVD player, and a TV with cable. The separate suite bedroom features two queen beds, a TV, closet, and in-room safe for storing your valuables such as a laptop. 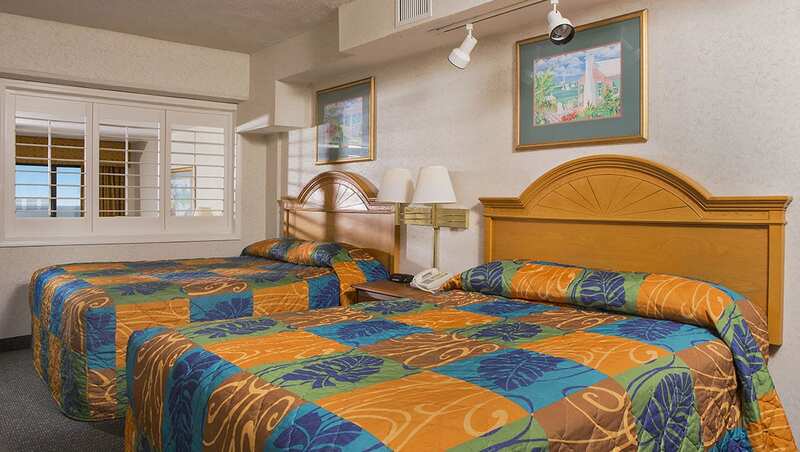 This North Myrtle Beach one bedroom suite can sleep up to two adults and four children, and sits at about 600 square feet. Located in our A & B Towers, it includes daily housekeeping, an iron and ironing board, hairdryer, free Wi-Fi, and a double vanity bathroom.